It’s compact, it’s cosmopolitan and it’s well connected with all the major airports of the world. What more could you ask when you are looking for a weekend getaway?! Below you can find are 9 tips on what to see and do in the “capital-country” of Europe. Brussels. A fascinating city, best known for its diverse array of architectural landmarks and as the administrative capital of the European Union. The symbol of the city is undoubtedly, the Atomium. This impressive futuristic structure, dates back to 1958 and is located off the centre of Brussels. 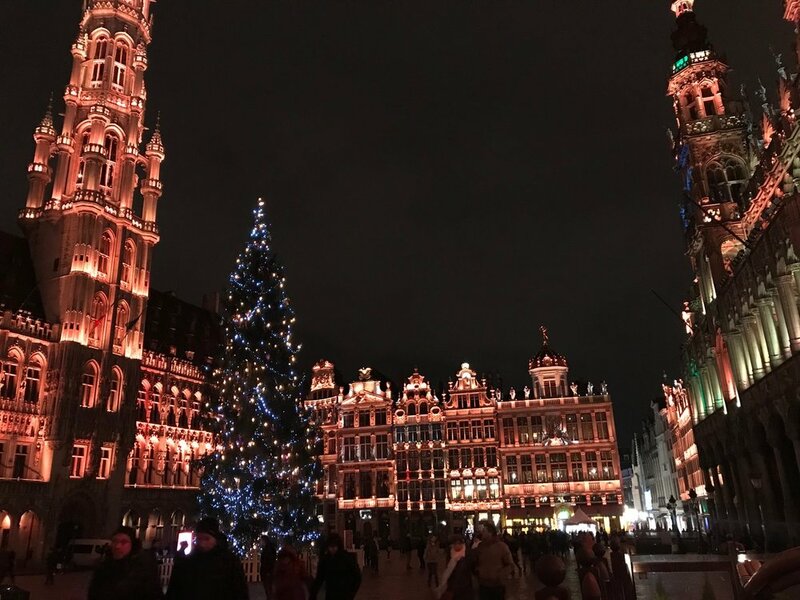 While in Brussels you can’t miss “The Grand Place”, a UNESCO World Heritage Site. It’s considered one of the most beautiful squares in the world. Tip: the best time to visit it is Christmas time when a stunning light and sound show takes place every night. The small nation is said to be the greatest beer-brewing nation in the world, thus you must try some of the beers. Combine it with the country’s most famous dish, “Moules-frites” which is essentially mussels and fries! Hungry for some art? Visit The Oldmasters Museum which is dedicated to European painters from the 15th to the 18th centuries. The Museum of Modern Art can be found in the same building. If you always search for some sweet temptations, then you will love this one. Belgium is famous for chocolates and waffles which divide roughly into the “Brussels waffle” and the sweeter “Liege waffle”. So don’t think twice about indulging into a chocolate-covered freshly-made waffle! Ghent. A bustling university town with postcard perfect canals, medieval architecture and great cuisine. The Castle of the Counts is a gorgeous castle with a very turbulent past. The castle includes a museum of torture devices on the top floor and amazing views of the city. Grab your smartphone for this one. St Michael’s Bridge is the best place for all selfie fanatics and travel photographers alike. This is where you will definitely fall in love with the city if you haven’t already. Food and exercise. Ghent has loads and loads of international foodie options while it is also the country’s most vegetarian-friendly city. Moreover, the picturesque city is one of the best places to feel Europe’s cycling culture. Don’t just look at the city’s winding canals from above, give into the temptation and enjoy a boat ride. A number of companies offer round trip boat tours, a lovely way to see the city and to view some of its biggest attractions from a different perspective. More places & spaces @theislanderstories.